The things that separate Intelligent Glass from other Switchable Smart Glass manufacturers become more distinguished over time. As the industry matures and customers begin to realise that ‘not all smart glass is made equal’, we can start to understand why Intelligent Glass is the UK’s leading Switchable Smart Glass company. Those who have been involved with the industry as long as we have will know that early innovators of this technology were required to invest in extremely high-quality manufacturing facilities. The smallest manufacturing discrepancy can result in a total failure of the product to live up to expectations, so our facilities have always had to be world-class to maintain our reputation for producing quality products. As a result of this early investment, Intelligent Glass have had the ability for over 15 years to develop the widest range of Switchable Smart Glass products on the market for virtually any application of this technology you can think of. The Research & Development Intelligent Glass have committed themselves to over the years has given rise to countless new Switchable Smart Glass product innovations that have seen numerous competitors attempt to copy or imitate them in an attempt to capitalise on the emerging demand. However, because Intelligent Glass are in the unique position to boast collaborative success with their sister company Pro Display in the development and manufacturing of some of these products, we not only outperform the competition, but we continue to keep the developments, innovations and product improvements coming long after other manufacturers settle on their existing range and manufacturing processes. 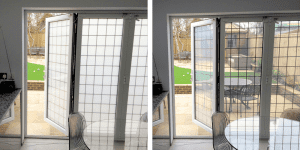 The innovations Intelligent Glass have proudly brought to their product range in recent years vary from full product solutions to incredible product options that extend the functionality and practicality of the core technology. However, there is one product development that Intelligent Glass boast more than most, one that cuts to the very core of Switchable technology’s primary purpose; that is, edge to edge privacy. 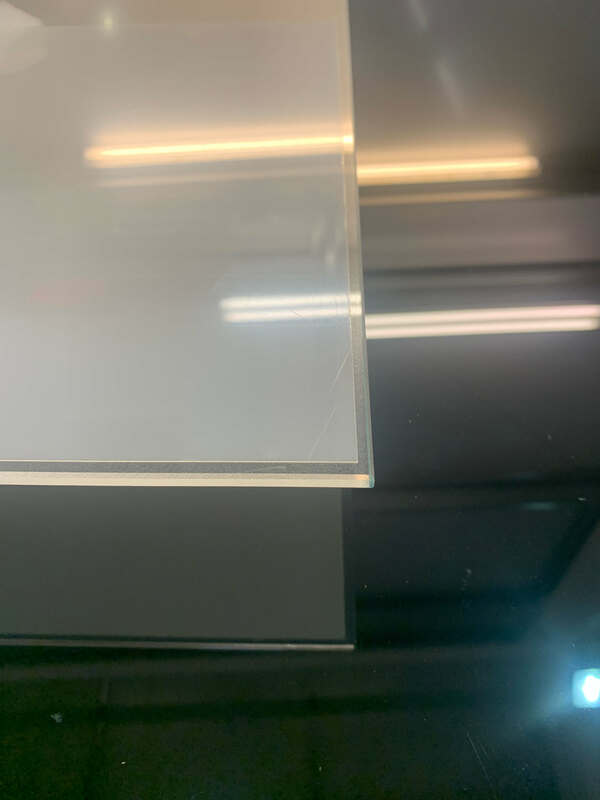 Intelligent Glass however have developed a proprietary patented manufacturing process that allows us to coat our Switchable Smart Glass products edge to edge, covering the glass in its entirety that ensures no gaps in between panels and maximises the PDLC film’s coverage across the substrate. This is important for a number of reasons, principally in that it targets the primary function of Switchable Smart Glass, which is privacy. In offering a solution that ensures the maximum level of privacy, Intelligent Glass excel in delivering true privacy solutions compared to other Switchable Smart Glass manufacturers. Keeping this process exclusively patented to Intelligent Glass allows us to offer this innovation to the market under our care and commitment to quality, ensuring customers that they are getting the very best Switchable Smart Glass products possible from us. Due to manufacturing limitations, other Switchable Smart Glass manufacturers offer their glass products with the active PDLC Film bonded to glass in a way that can leave anything from around a 5mm gap between the edge of the glass and the film. In panelled partitions, this gap can then be doubled to up to 10mm, as panels installed next to each other compound the problem in putting these film-less edges side by side. This does not stand up well for a ‘privacy solution’. Our Switchable Smart Glass is ideal for large installations that require multiple panels of Switchable Smart Glass to be installed side by side; our edge to edge technology keeps a flow of privacy without join gaps. The extended benefits of this push Switchable Smart technology to the limits, enabling the use of large format projection with no gaps in the screen, for example. Likewise, we can also see benefits in applications that may necessitate edge to edge privacy, such as in meeting rooms, boardrooms, healthcare privacy, or any other privacy application where gaps in the solution could completely defeat the purpose. Intelligent Glass continue to develop not only their product range, but also the industry, serving as the ideal innovation ground for Switchable Smart Glass technology. Competitors take cues from our lead, as the longest established Switchable Smart Glass manufacturer in the UK, we show the market how it’s done – with a long-standing commitment to quality, customer care and product innovation, there’s a good reason we are the UK’s leading Switchable Smart Glass manufacturer. Stay switched on to Intelligent Glass for the latest in Switchable Smart Glass development. 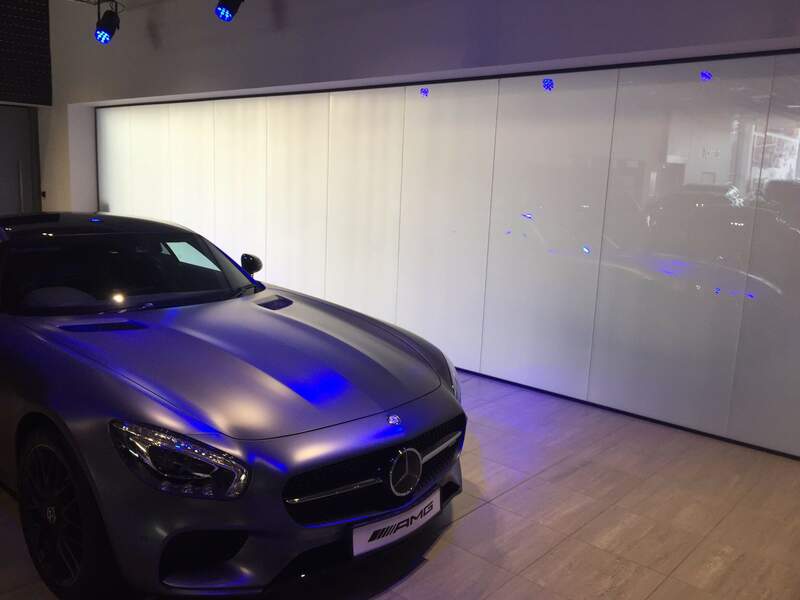 Intelligent Glass offers a wide range of switchable smart glass solutions with options including toughened glass, laminated panels, smart glass windows and the retrofit self-adhesive switchable film. If you would like further information, a pricing quote, or to discuss ideas for using our switchable smart glass and smart film products, please please get in touch using the form below, or call us on +44 (0)1226 351 759.